You'll find out where you can purchase Watkins Vanilla, Watkins Vanilla recipes, uses for Vanilla, interesting Vanilla facts, and information about Watkins Vanilla extract, Watkins Original Double Strength Vanilla and Watkins Clear Vanilla. Shop for your vanilla in our safe, secure Watkins store or request your free Watkins full product catalog and order by mail or phone. Watkins has been making Vanilla since 1895! Watkins Vanilla is made from the world's finest premium-grade Madagascar Bourbon vanilla beans, brewed using the process Watkins perfected over the course of a century. Watkins blending of ingredients makes the flavor bake proof and freeze proof as well as double strength. And best of all using Watkins vanilla saves you money. Our award-winning Original Double-Strength Vanilla is based on the same quality that goes into our exquisite Pure Vanilla, but it is more versatile. Double-Strength Imitation Clear Vanilla Flavor has the same benefits because it's expert formulation gives it a rich flavor without the dark color of vanilla. Discover for yourself why Watkins Original Double Strength Vanilla has been a baking icon and Grandma's favorite for more than a century! Our dedication to quality is what makes Watkins the best vanilla you can buy. Watkins uses rich vanilla beans to brew a pure vanilla extract. Once "brewed", it is fortified with straight vanillin and other ingredients to make the flavor resistant to degradation by heat or freezing and to make the product double strength. The vanilla is carefully aged, and has a very low alcohol level (8-1/4%), which makes it even more heat resistant. Not only is watkins the best tasting vanilla, it is also more economical because you only need to use half as much. Watkins original vanilla is certified Kosher. Watkins Original Double Strength Vanilla is ideal for use baked goods such as cookies, cakes, pies, sauces and sweet desserts, beverages, fruit salads as well as savory dishes, excellent with seafoods. Orginal double strength vanilla has no special storage requirements, and will keep indefinately in your pantry or cupboard. 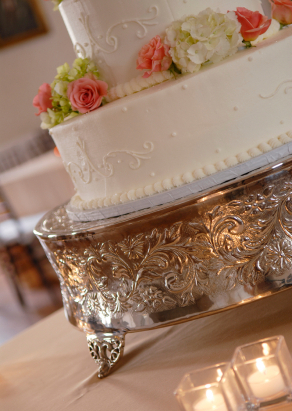 For wedding cakes and other baked goods that need to be pure white, turn to the choice of professional bakers, Watkins crystal-clear Vanilla with all the bake-proof, freeze-proof, double-strength flavor of our famous Original Vanilla. Watkins Clear Imitation Vanilla should be stored in a cool, dark place, direct sunlight will cause the vanilla to yellow but won't effect the flavor. Watkins clear vanilla is certified Kosher. Watkins Pure Vanilla extract is made from the world's finest premium-grade Madagascar Bourbon vanilla beans. You've probably seen vanilla beans selling at retail for $3.00 or more a piece; chances are they've already been rejected by our vanilla buyer. Only by buying the best can we produce this exquisite vanilla, with a rich, all-natural aroma and all the subtle notes that even a master perfumer or winemaker would appreciate. Pure vanilla is best used in dishes that do not require high heat or freezing. Use for icings, frostings, add to cooking puddings while cooling. When baking with pure vanilla, cream the vanilla with the shortening or butter portion of the ingredients, to prevent it from volatilizing in the baking process. Pure vanilla should be stored in a cool, dark cupboard, keep capped tightly to prevent this vanilla from evaporating. Use only half the quanity called for in your recipes when using Watkins double strength vanilla. Place 1/2 teaspoon of Watkin vanilla on a cotton ball in your fridge to eliminate stale odors. Rub a few drops of vanilla on your hands after handling onions to help eliminate ordor. Watkins Vanilla will keep indefinitely if stored in a cool dark place. Fishermen use vanilla to mask the smell of their hands on tackle and lures. A teaspoon of vanilla added to tomato sauces or tomato based dishes will help cut the acidity of the tomatoes. 1/2 to one teaspoon of vanilla added to pineapple, fruit salads, or sauces containing citrus, will soften the sharpness and give it extra sweetness. Add 1/2 to one teaspoon of Watkins original vanilla to your coffee grounds before brewing to make your own gourmet vanilla flavored coffee. A few drops of vanilla applied to a minor burn eases the pain and soothes. 1/4 teaspoon of vanilla added to a can of paint will help eliminate odor. Vanilla added to dishes containing hot peppers softens the bite while bringing out the sweetness and flavor of the peppers. A dab of Vanilla applied to your pulse points makes a great substitute for perfume. 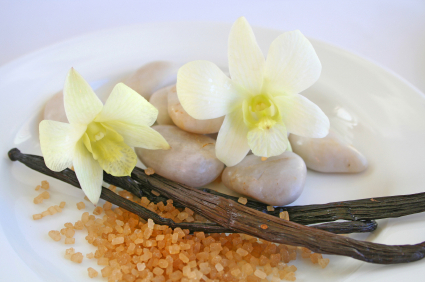 Vanilla beans are the fruit of an orchid named Vanilla planifolia, and is the only edible fruit of the orchid family. The word "vanilla" comes from the Spanish word "vainilla" which means little sheath, referring to the pod's long thin shape. Vanilla was once so rare and expensive that it was only available to royalty. Vanilla was once considered a aphrodisiac. Vanilla was used as a remedy to calm upset stomachs. The first Vanilla extracts were made in apothecary shops. Vanilla is one of the most complex tastes in the world, with over 250 organic components creating its unique flavor and aroma. The scent of Vanilla may ease tension and anxiety and seems to promote feelings of safety and security. Consumption of vanilla beans in the US is approximately 1,200 tons per year! Your comments are appreciated! Do you have your own vanilla tip or something to say about Watkins Vanilla? Shop for Watkins vanilla in our safe, secure Watkins store or request your free Watkins full product catalog and order by mail or phone.